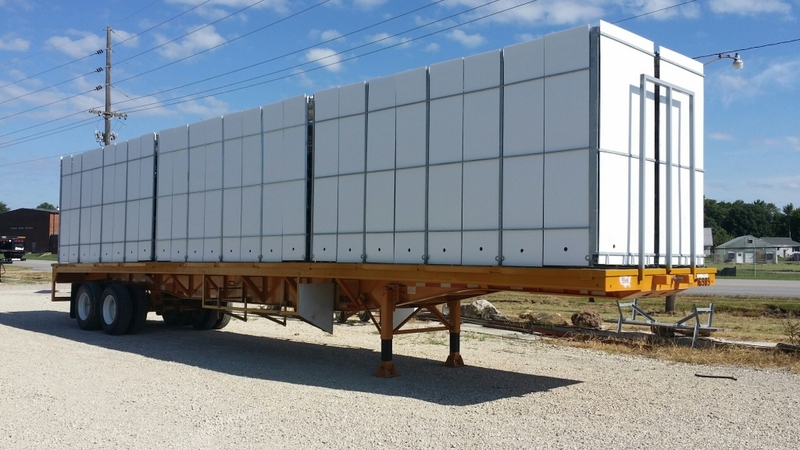 The Wade MagnIbeam flatbed poultry trailer was designed and built to take on the harshest environments that the poultry industry can throw at it. 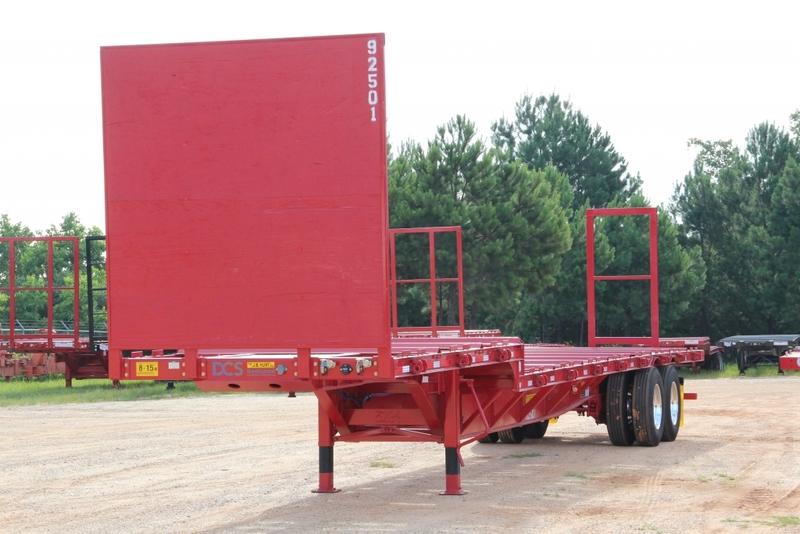 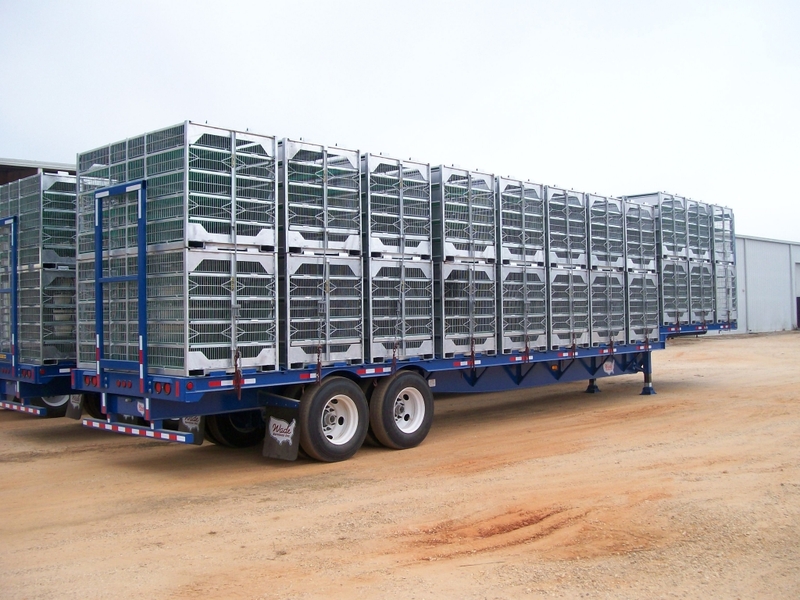 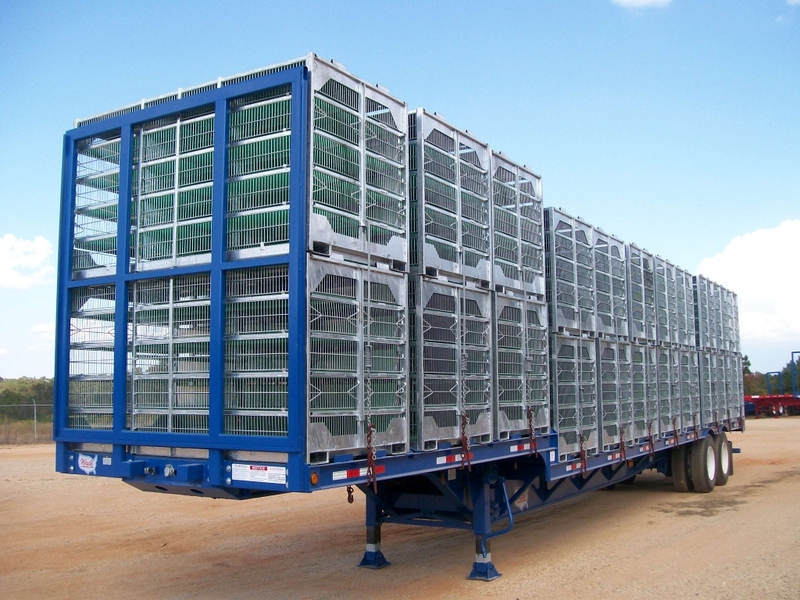 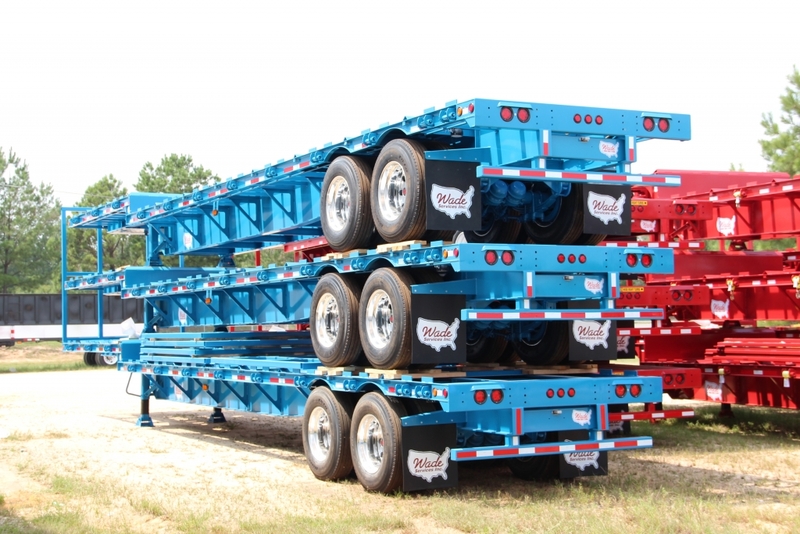 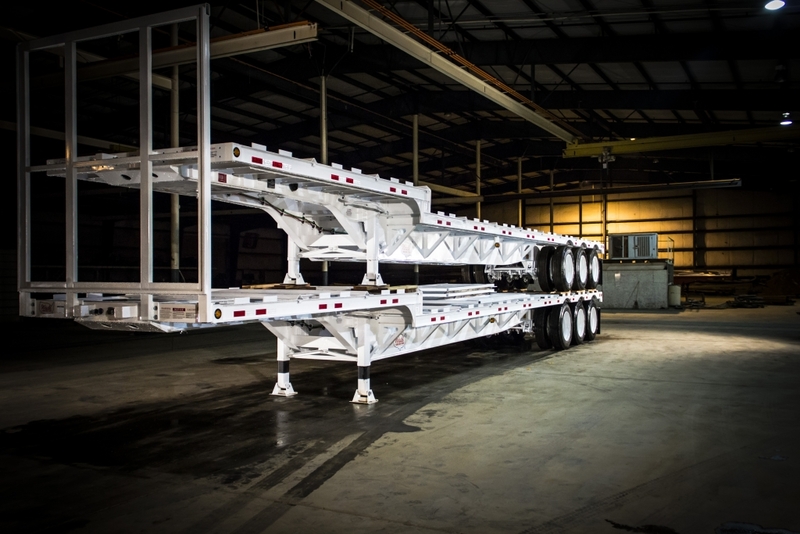 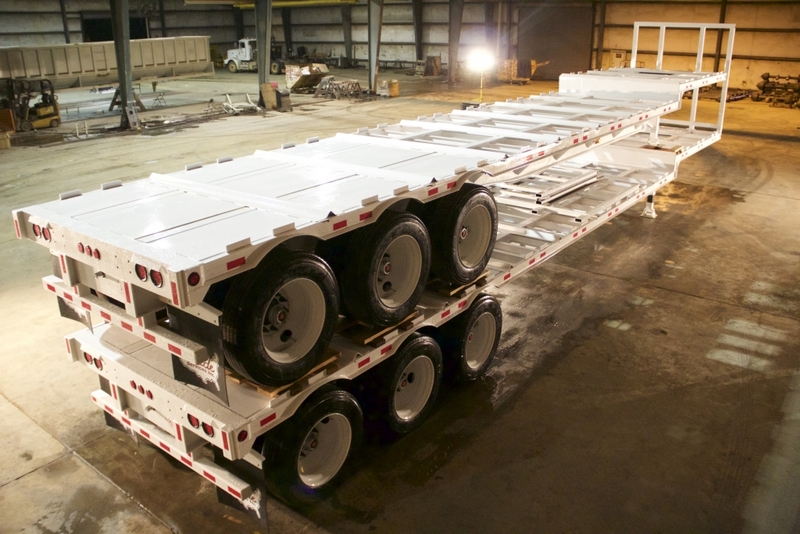 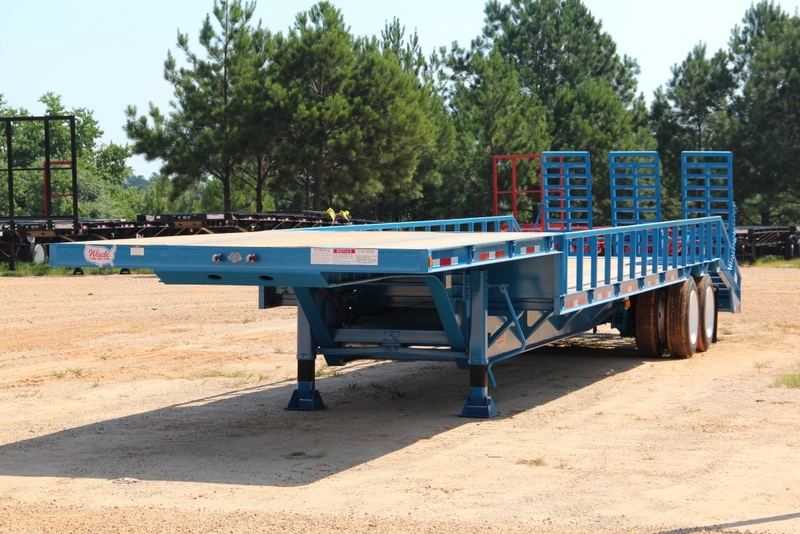 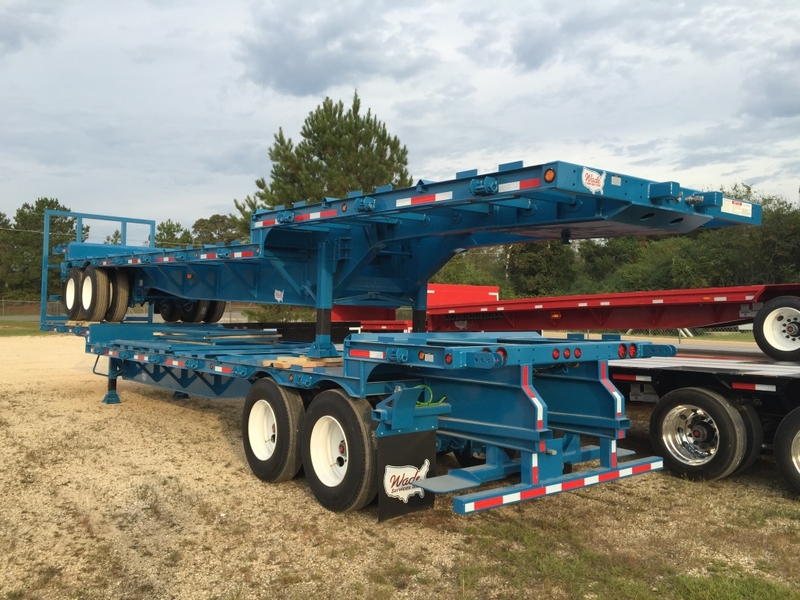 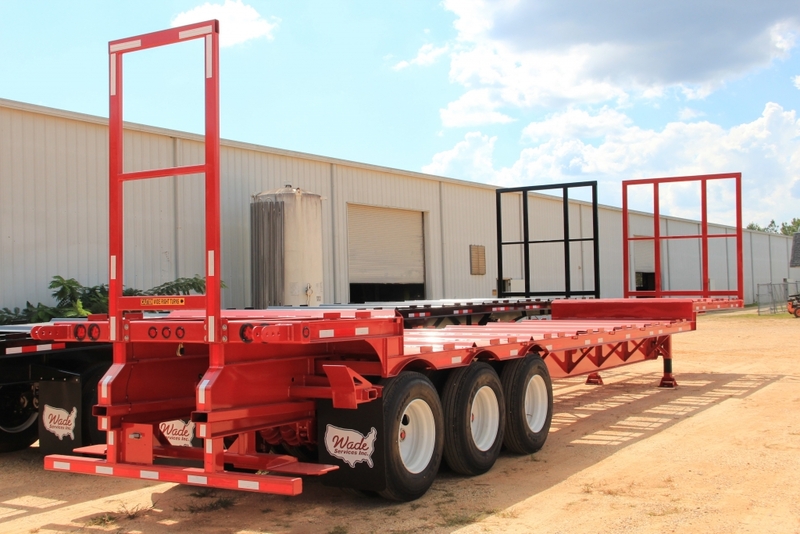 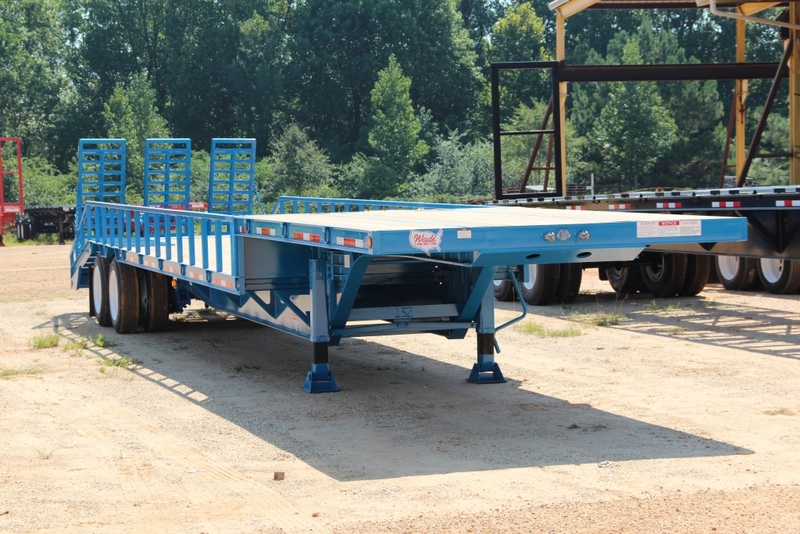 These trailers utilize Hi- Tinsel ¼” one piece webs and ½” thick 130K top and bottom flanges. 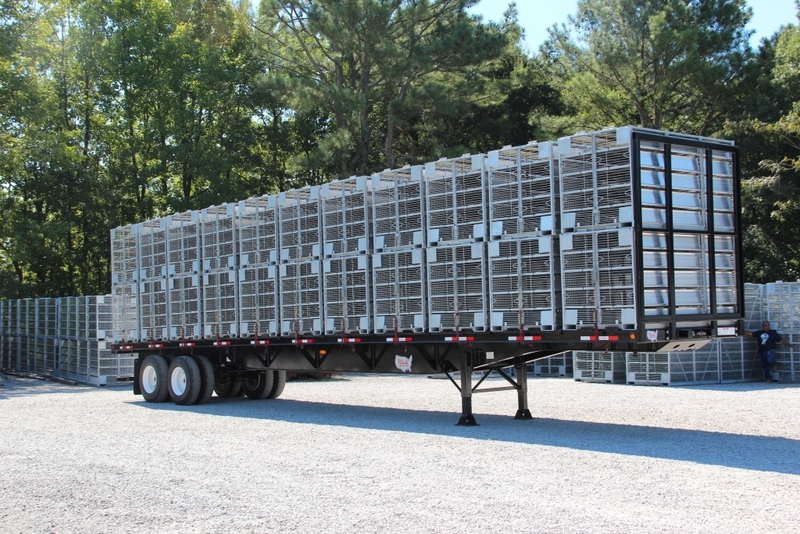 Cross members are 3” inverted angels on 16” centers to shed waste generated by live poultry. 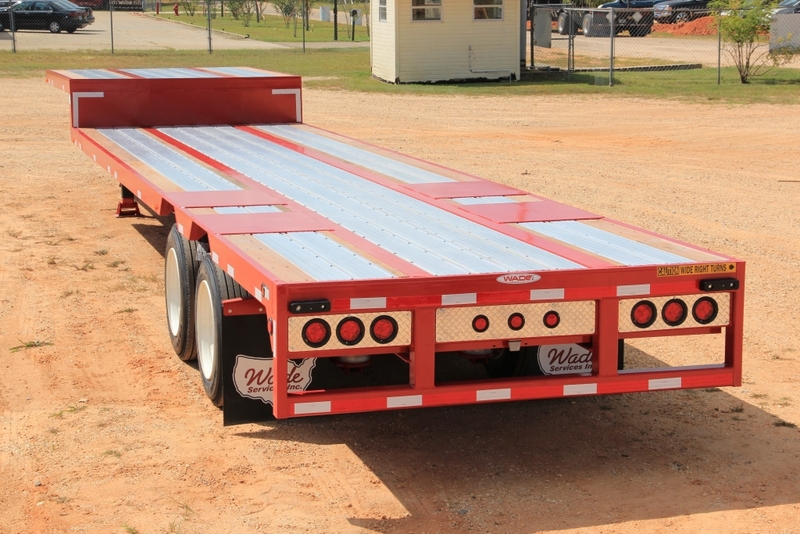 There is X-Bracing from the front of the trailer all the way back to the suspension to provide extra support with side loading. 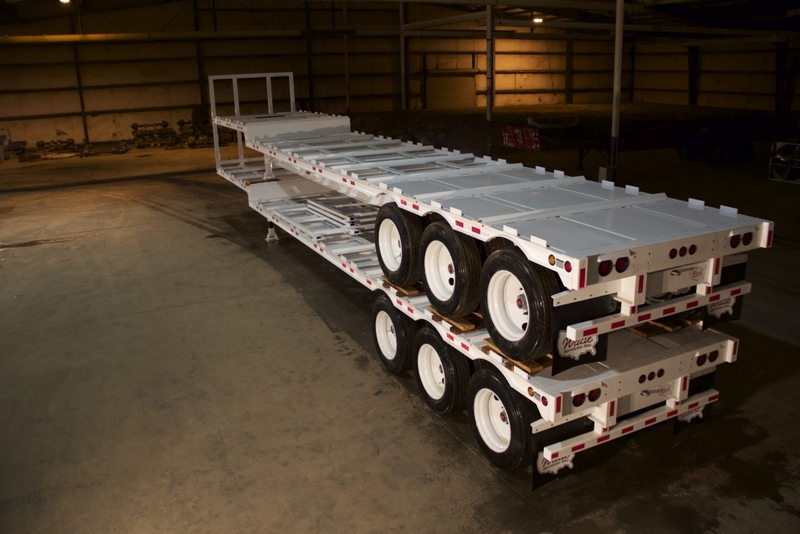 Side rails are made from inverted structural steel for added strength and ease of cleaning. 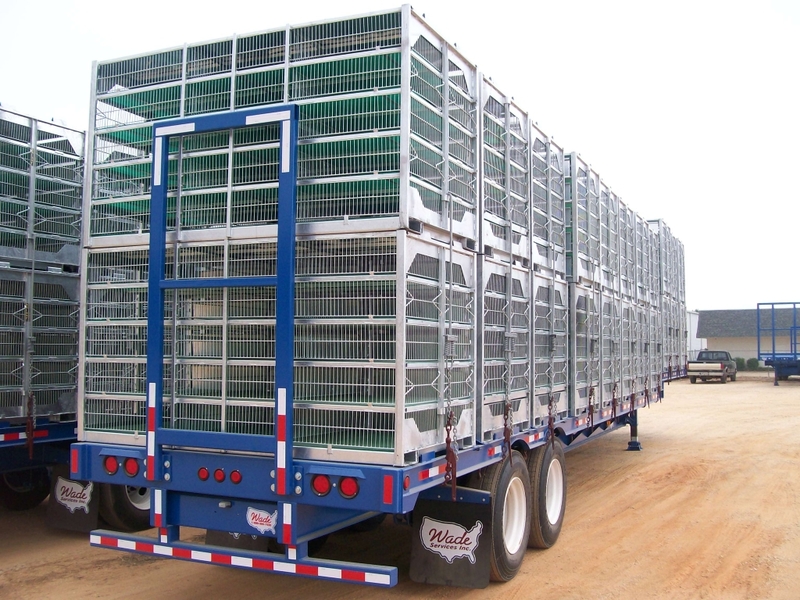 Two (2) cage stops per cage area and formed cage separators are standard. 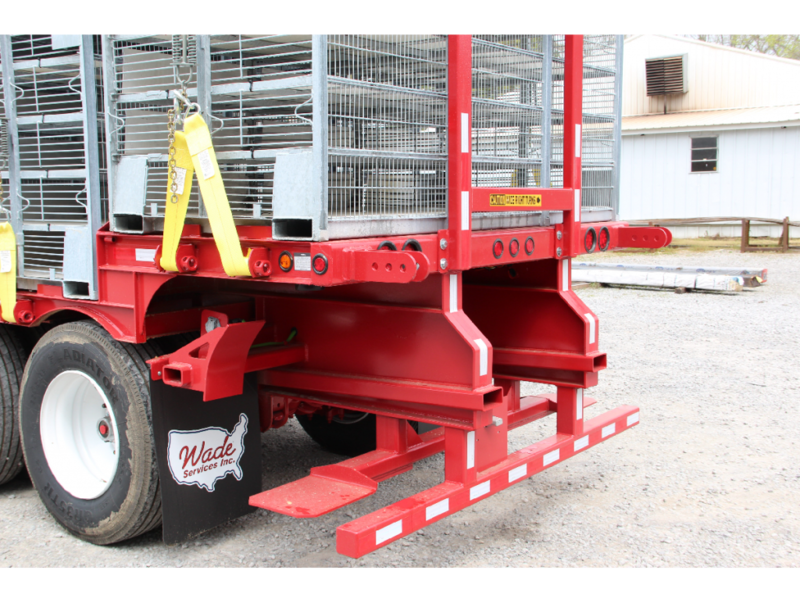 4” strap winches and cold roll tie bars are available on all poultry trailers. 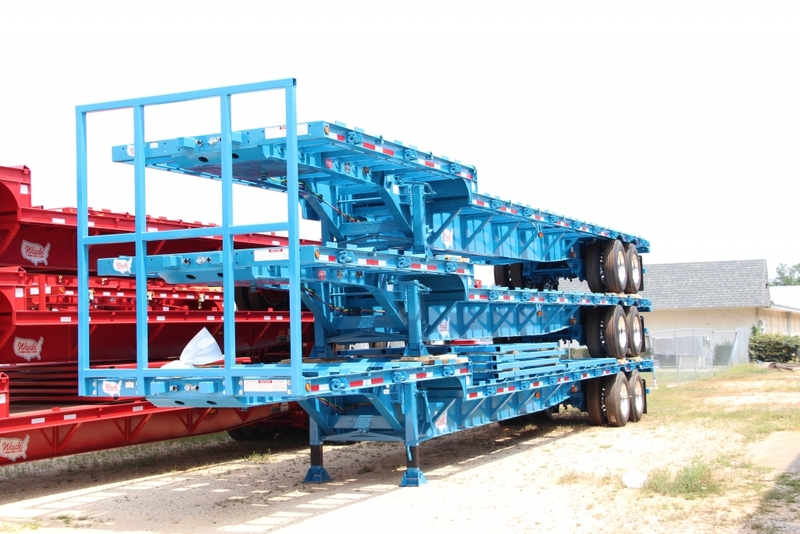 There is 10 gauge plate covering the suspension and kingpin area. 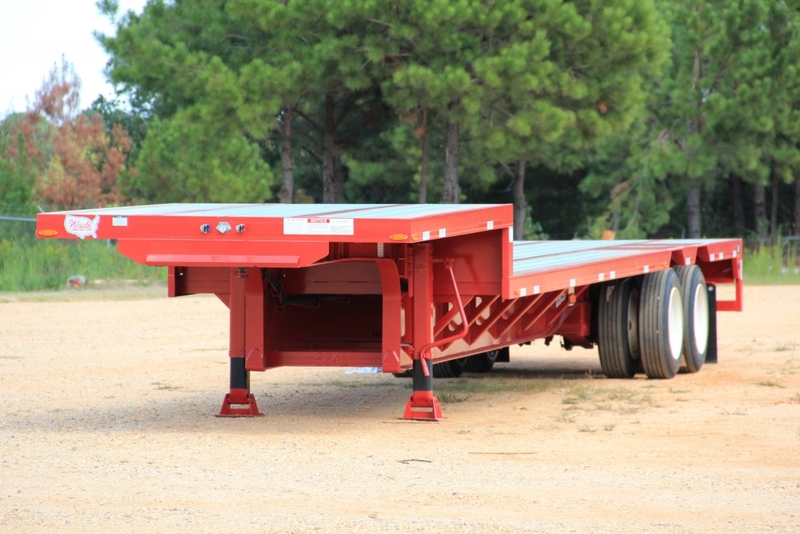 Landing gear brackets are triple gusseted for protection of being picked up and dropped several times a day. 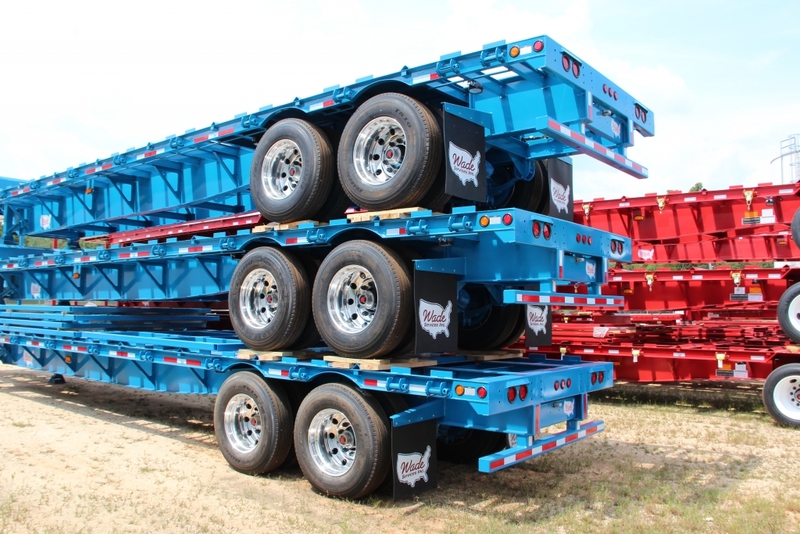 The Kingpin area has 1/2”, 80K 5th Wheel plates as well. 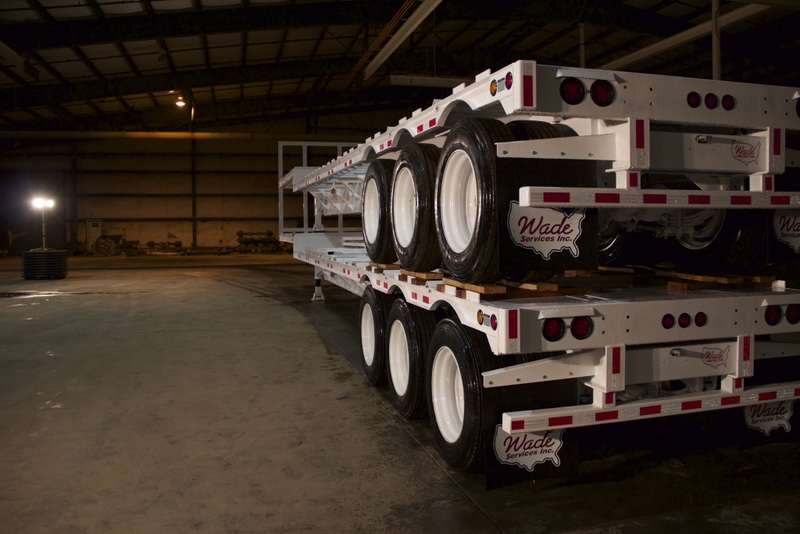 The 3 wheel loader fork tubes positions are plasma cut into the web allowing full integration of the Loader kit to be built into the trailer during the manufacturing process. 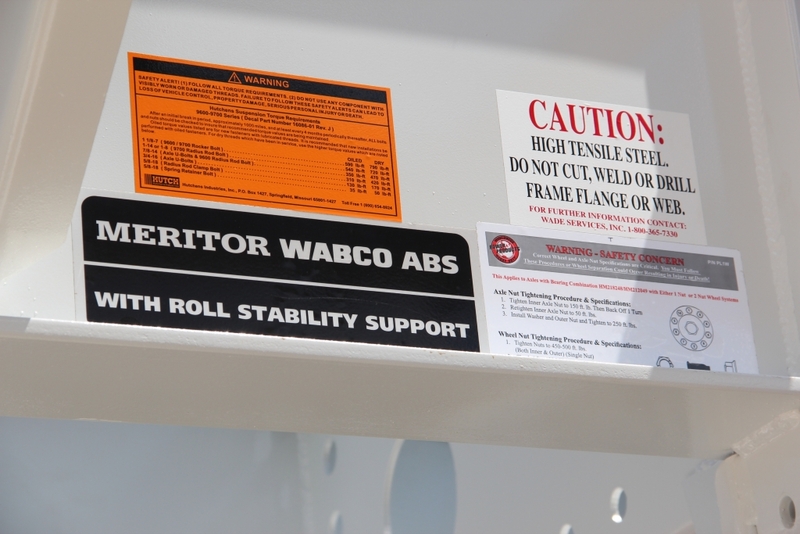 Glad hand protectors and bolt on front and rear head boards fitted for panels are also a standard feature. 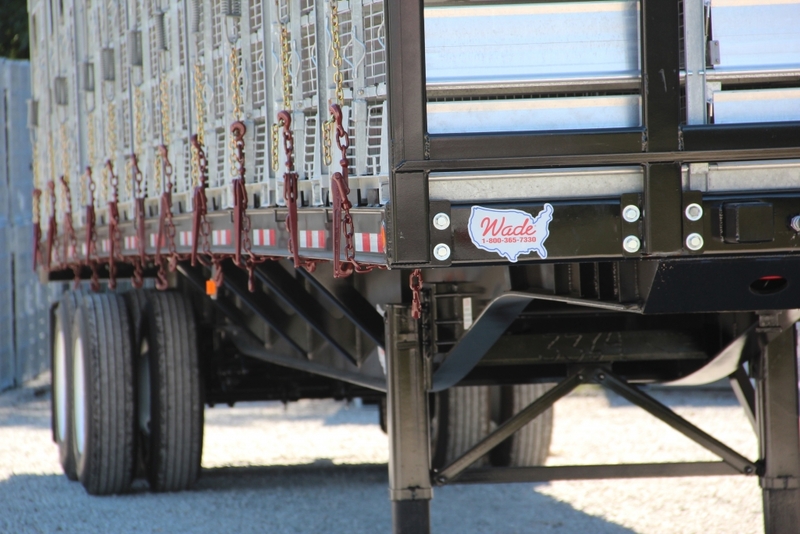 All 100% plug in sealed electrical and air are secured in rubber grommets the entire length of the trailer with all lights being LED. 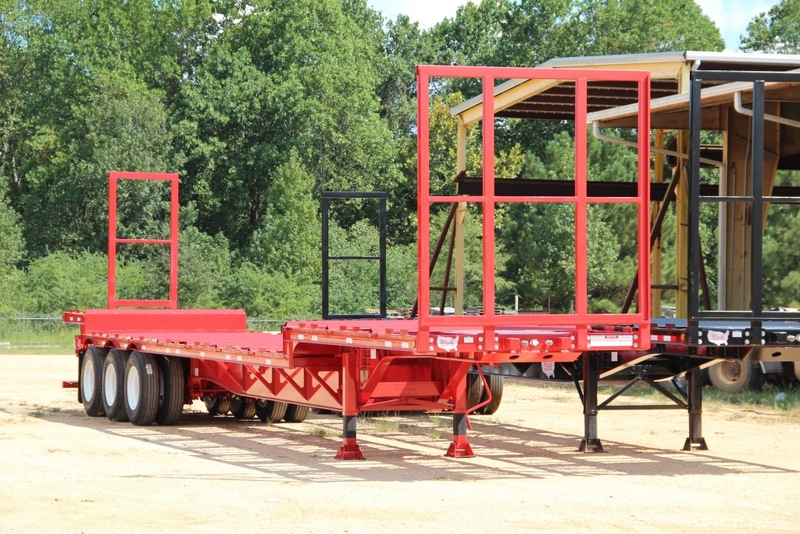 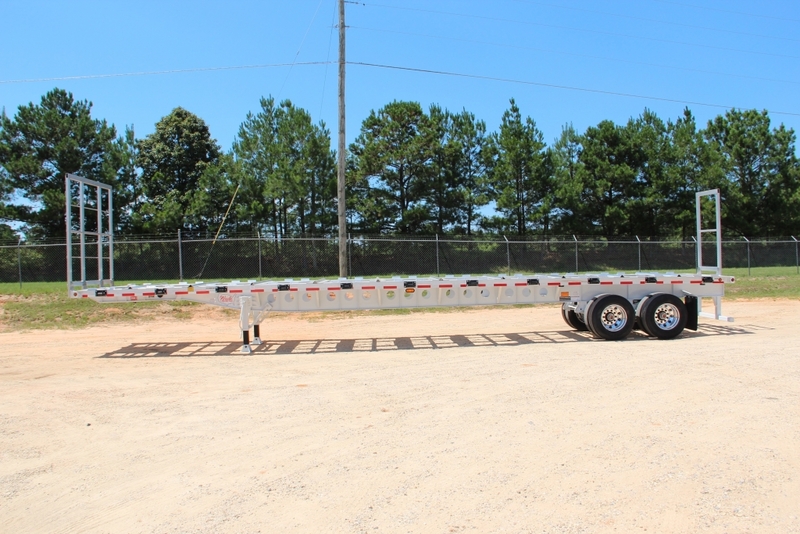 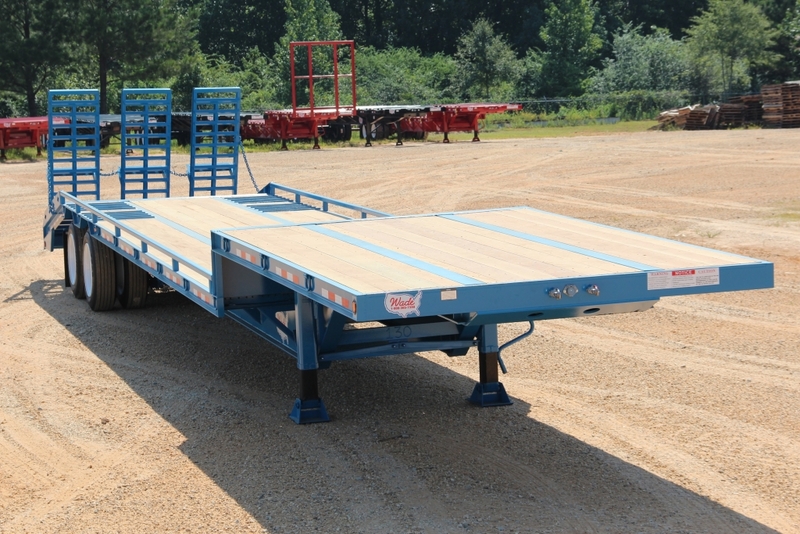 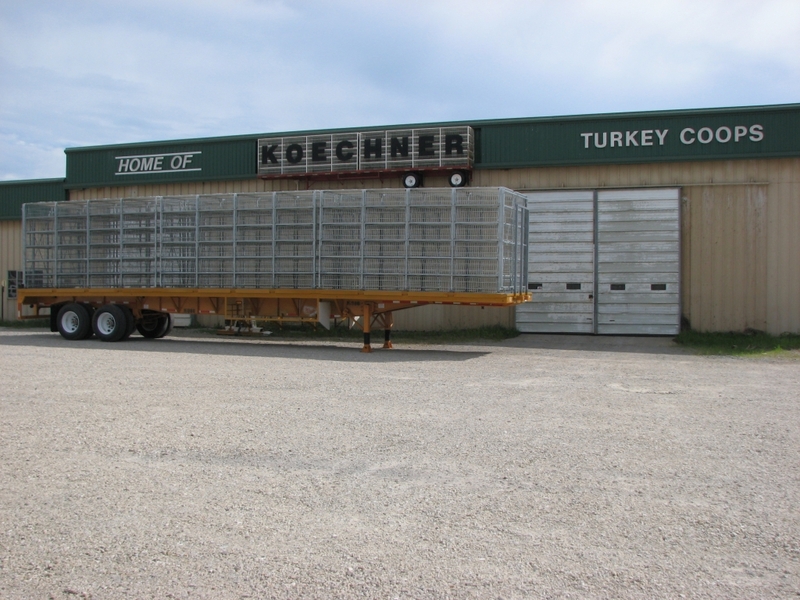 Top this off with a state of the art paint system and you are ready to haul live poultry! 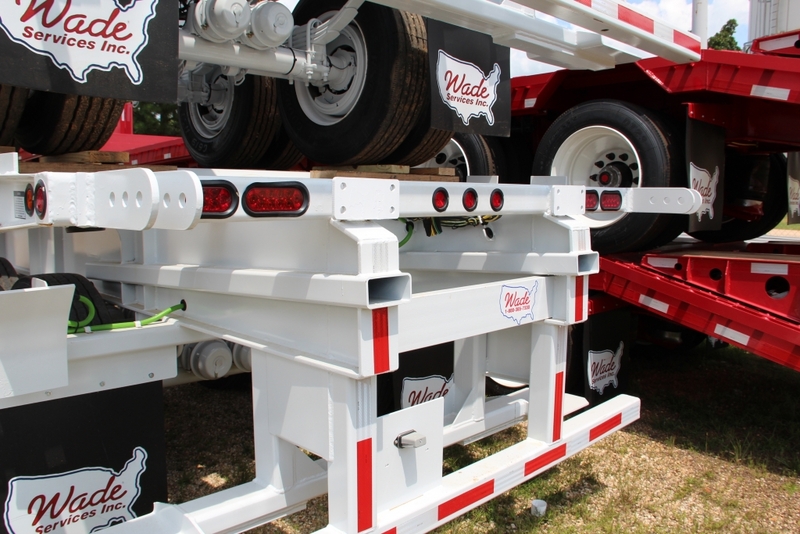 Wade just announced the new Aluminum Combo Flatbed weighing in a 10,400 with winches. 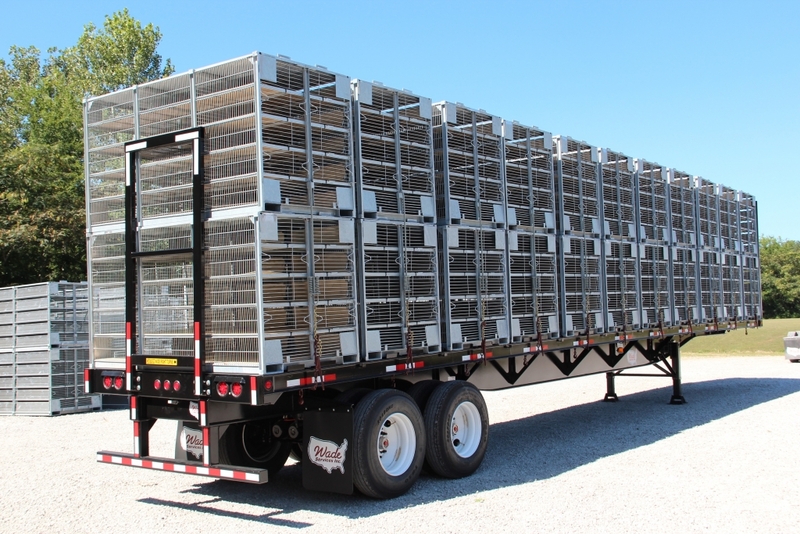 The Wade MagnIbeam drop deck poultry trailer was designed and built to take on the harshest environments that the poultry industry can throw at it. 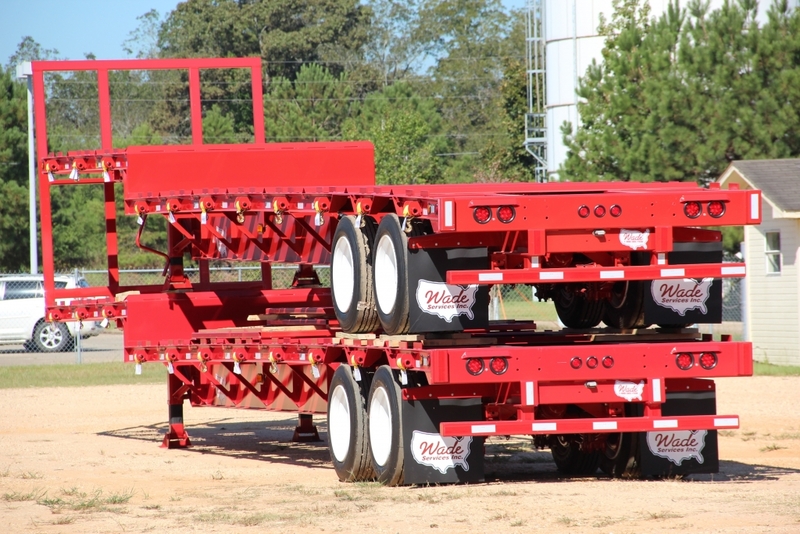 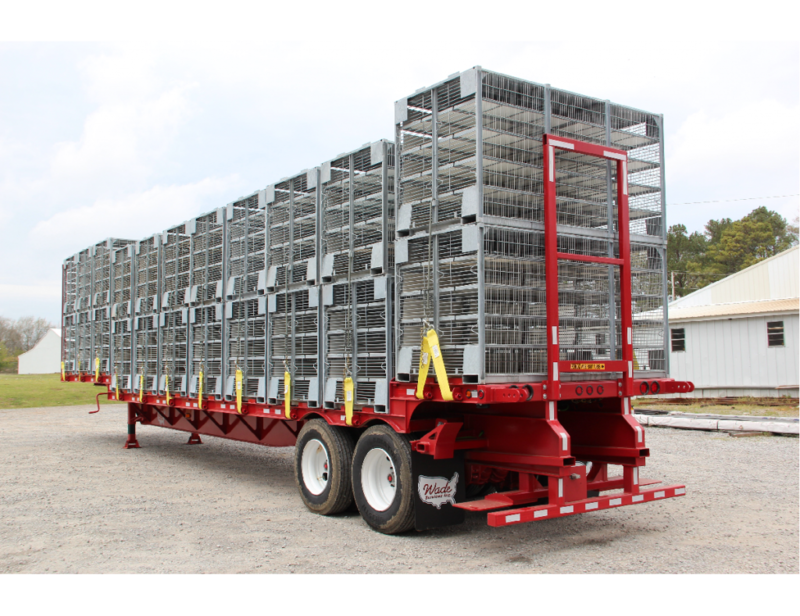 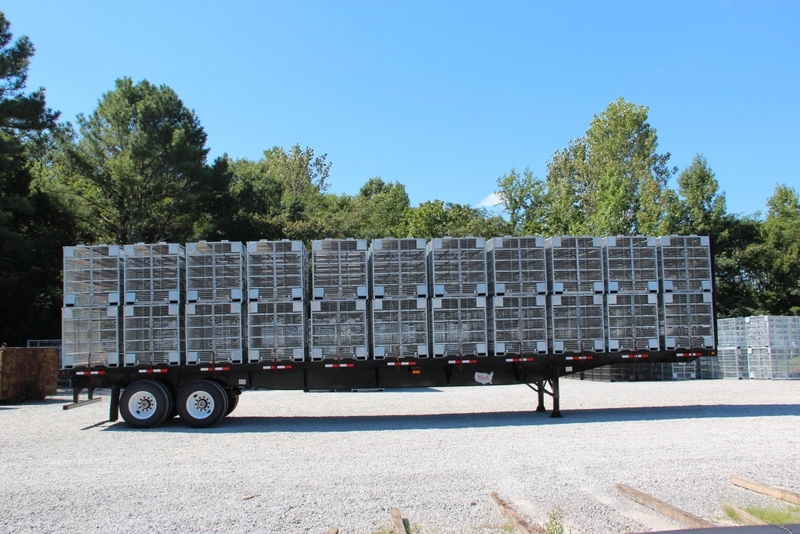 This standard drop deck model has the 12″ drop that has been standard in the poultry industry until Wade Services Inc introduced the deep drop poultry trailer in 2013. 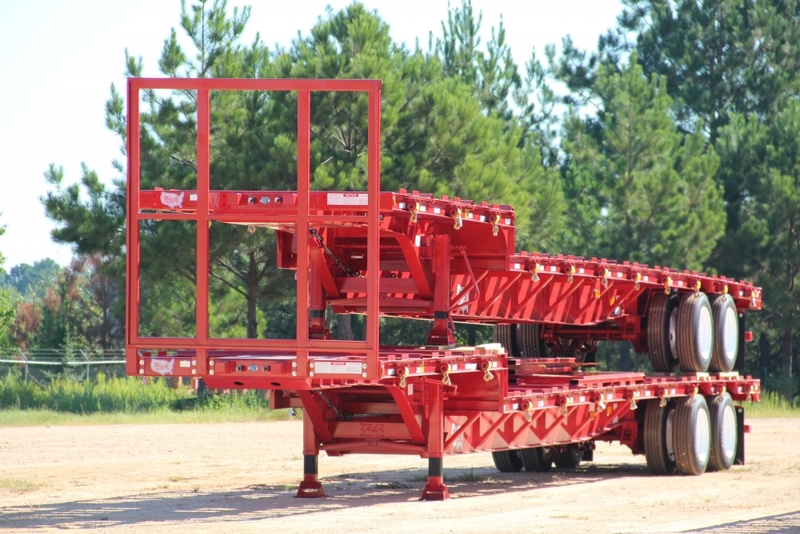 The Deep Drop has a 17″ drop at the transition to give a lower center of gravity. 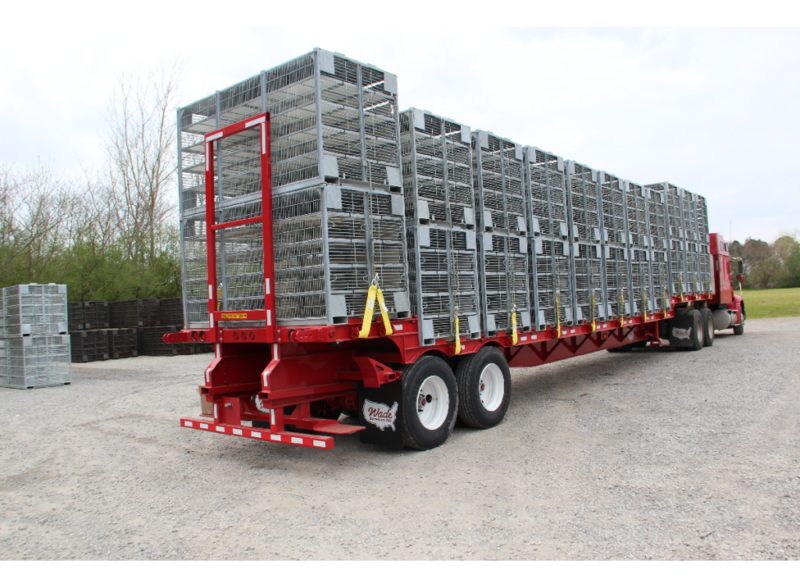 These trailers utilize Hi- Tinsel ¼” one piece webs and ½” thick 130K top and bottom flanges. 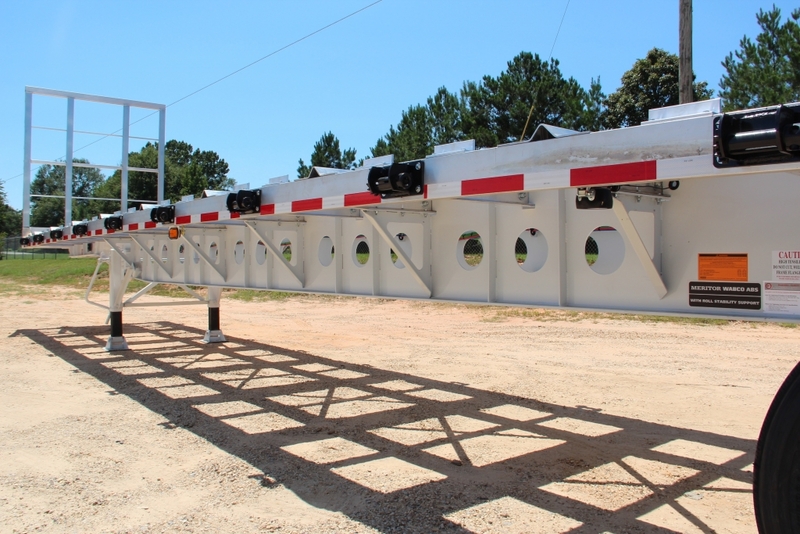 Cross members are 4” 80 yield JR I-Beam on 16” centers. 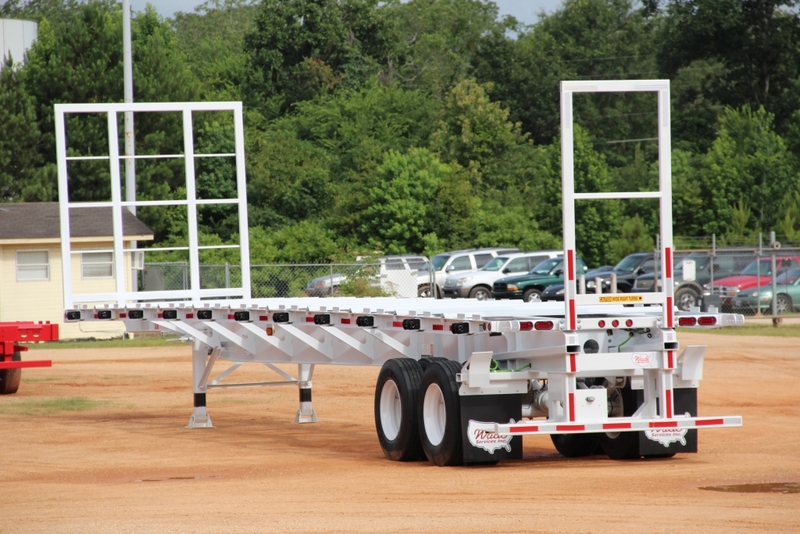 There is X-Bracing from the front of the trailer all the way back to the suspension to provide extra support with side loading. 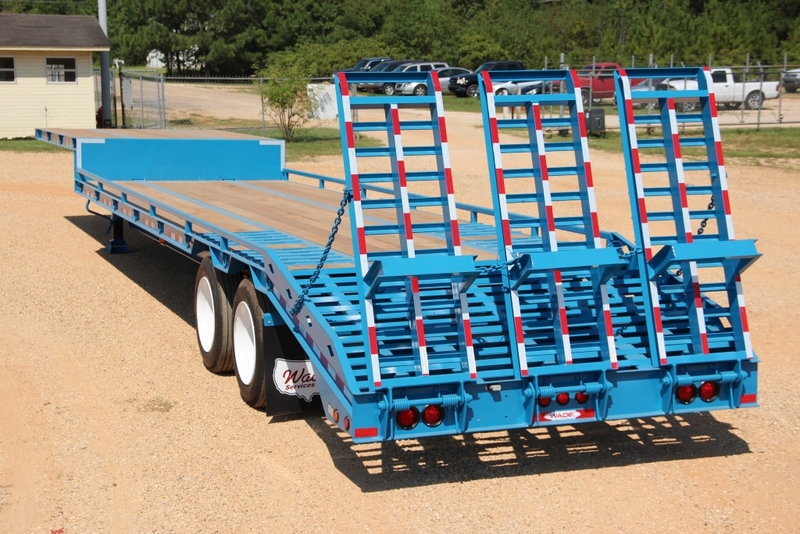 Side rails are made from inverted structural steel for added strength and ease of cleaning. 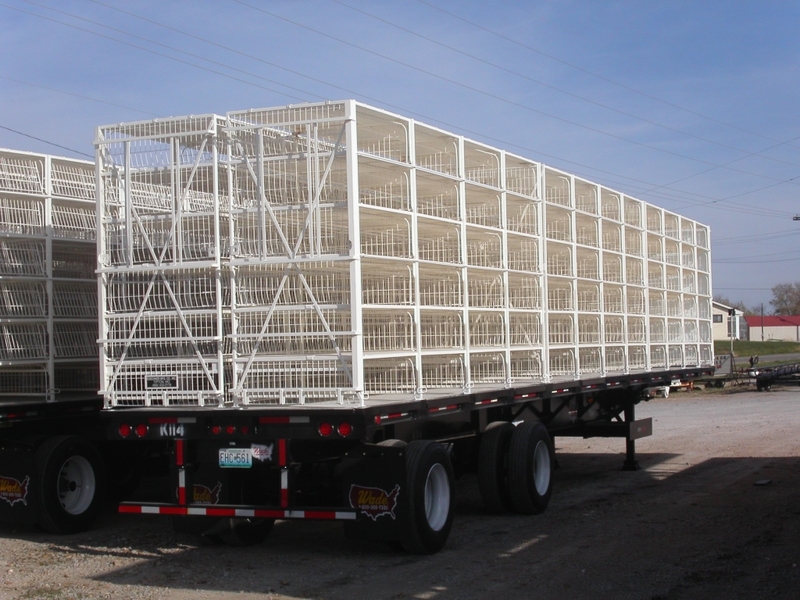 Two (2) cage stops per cage area and formed cage separators are standard. 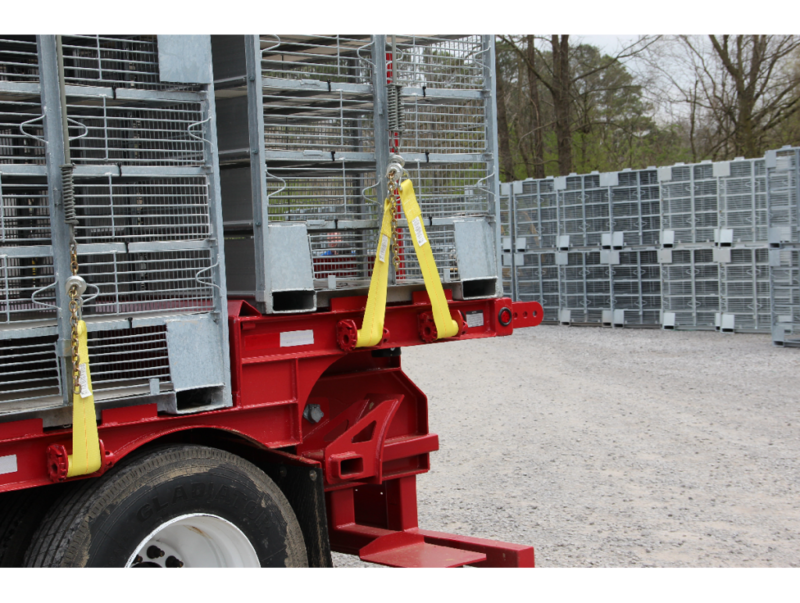 4” strap winches and cold roll tie bars are available on all poultry trailers. 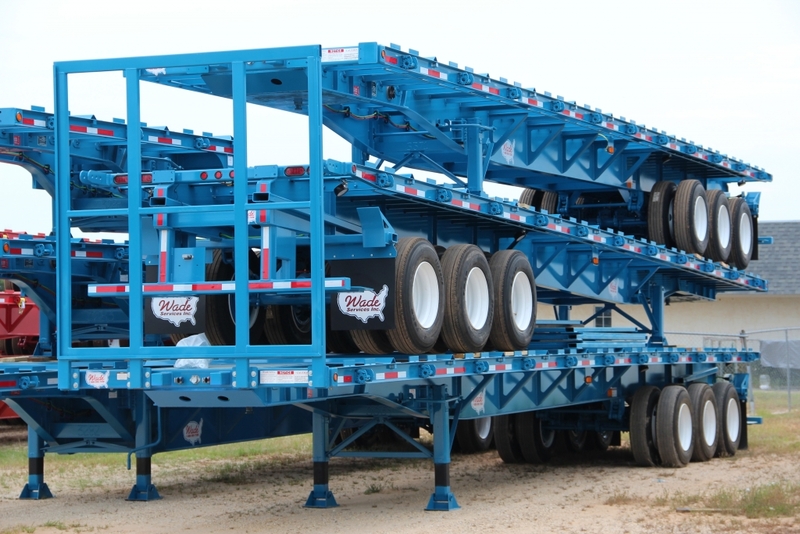 Plates covering the suspension and kingpin area are 10 gauge. 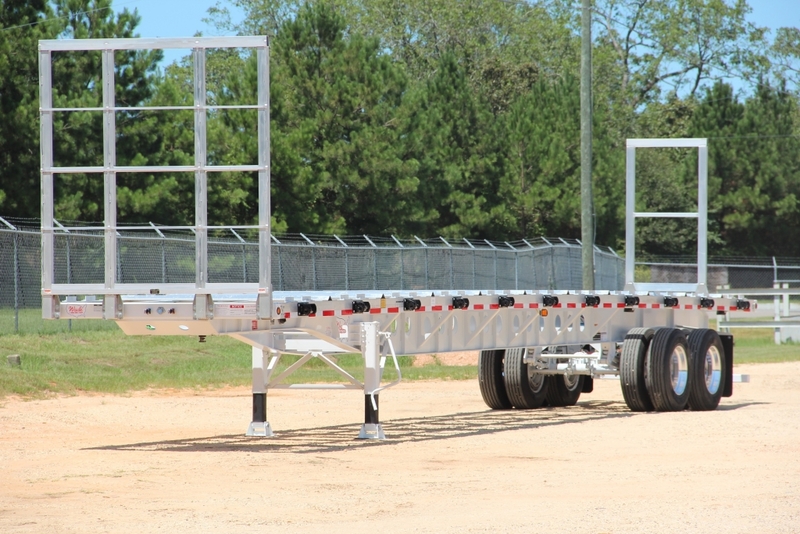 Landing gear brackets are triple gusseted for protection from being picked up and dropped several times a day. 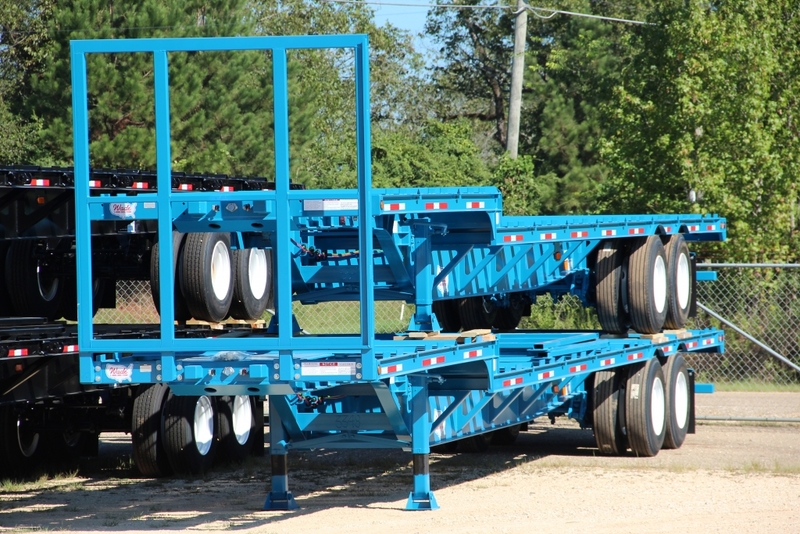 The Kingpin area has 1/2”, 80K 5th Wheel plates as well. 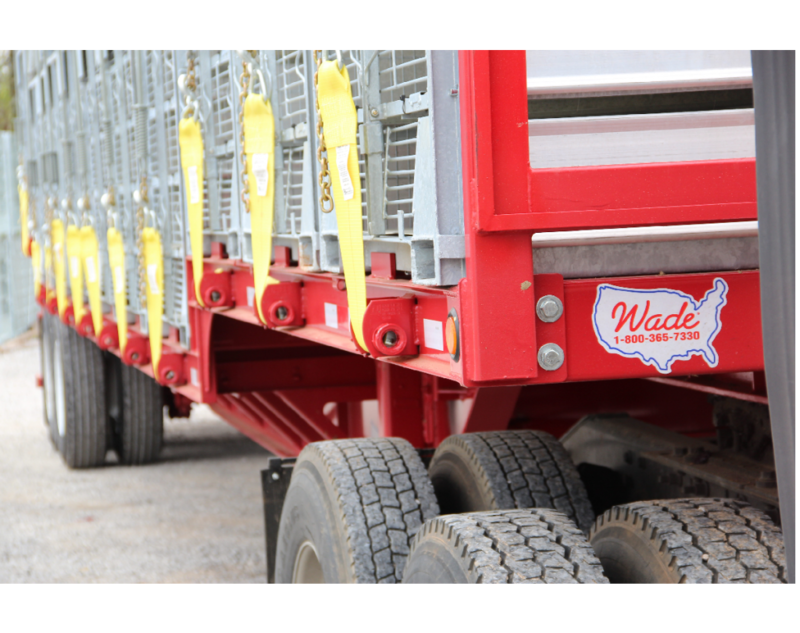 Glad hand protectors and bolt on front and rear head boards fitted for panels are also a standard feature. 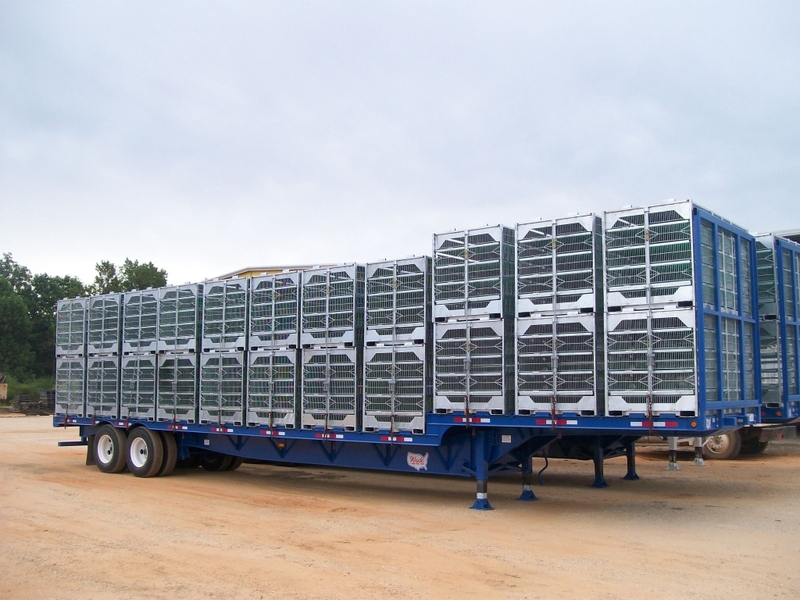 All 100% plug in sealed electrical and air are secured in rubber grommets the entire length of the trailer with all lights being LED. 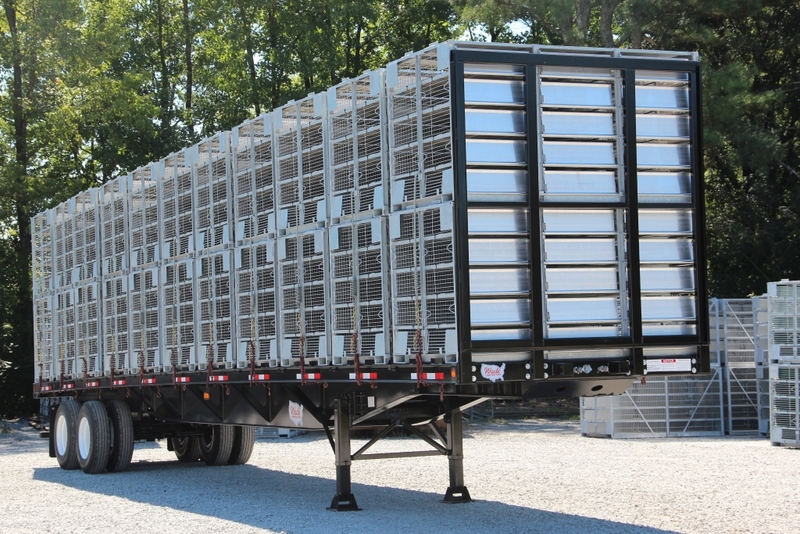 Top this off with a state of the art paint system and you are ready to haul live poultry!